Designed to mount screens in a portrait orientation, the BT8321 is part of the dynamic System X Range and therefore features a contemporary, lightweight yet incredibly strong design with a high-end aesthetic quality, mounting the screen close to the wall whilst leaving enough space for easy access to screen inputs and cabling. Also suitable for mounting screens in landscape style, height adjustment screws allow mounted screens to be levelled perfectly after installation and safety screws feature as standard to help prevent unauthorised screen removal. 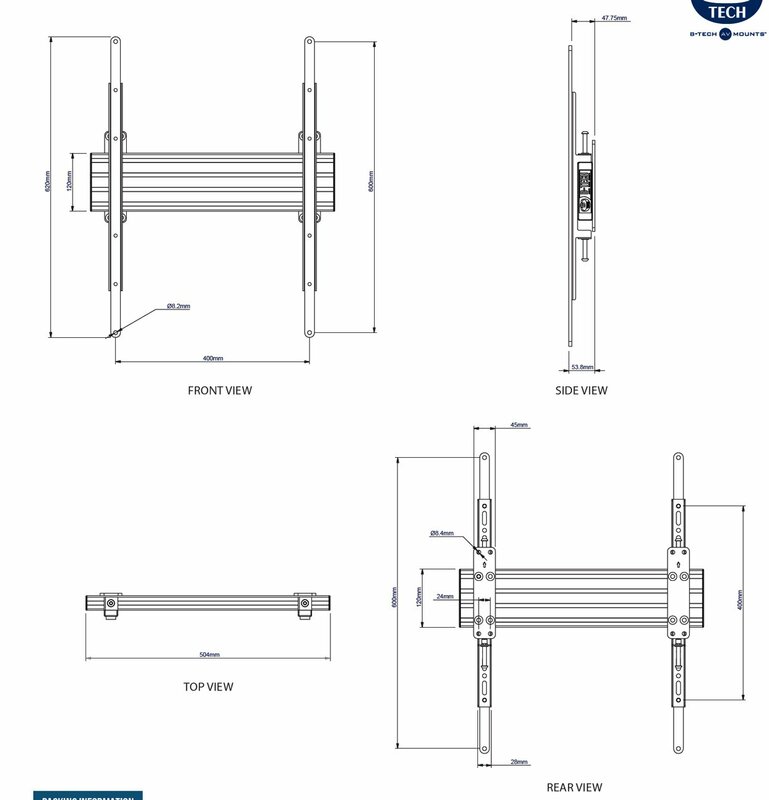 AVF EcoMount Cantilever Wall Bracket For Up To 32"